PARIS (Reuters) - The sudden death of Total's top executive may make it even trickier for the French oil major to overhaul its expensive exploration strategy while simultaneously cutting costs to please shareholders as oil prices fall. 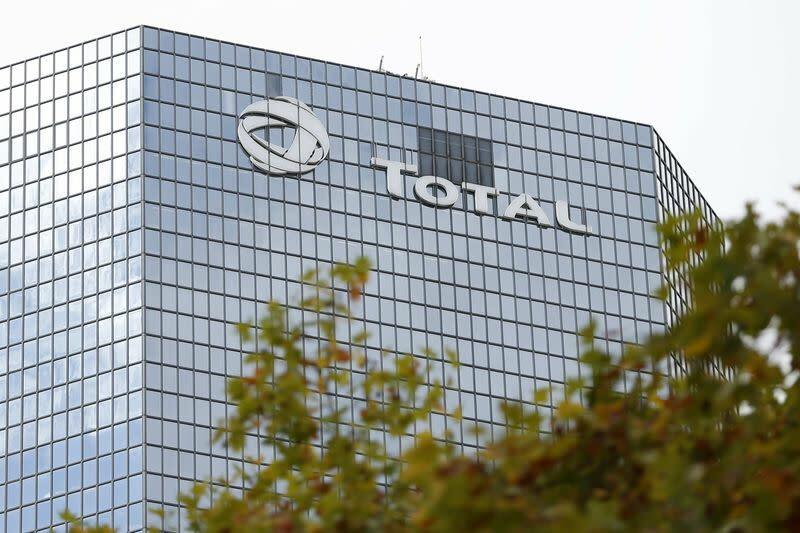 Total had recently taken the unusual step of naming an outsider to devise a new strategy after a costly three-year drive to increase drilling spending failed to yield significant results - the main blot on Christophe de Margerie's legacy. It had also started to cut capital expenditure after years of record-high investments, under pressure from shareholders demanding bigger payouts. With Brent crude now around $85, executing this plan becomes even more critical, and investors are hoping that the group has a plan of action following de Margerie's death. "We have the feeling that a group like Total has the organization in place to deal with an emergency situation, and this is an emergency situation," said Renaud Murail, a fund manager at Barclays Bourse, who is advising clients to buy Total shares. The company had been officially planning to take stock of its exploration strategy next year. Total raised its exploration budget by 12 percent between 2012 and 2014 in what it called a "high-risk, high-reward" strategy to find new sources of oil - but about 40 percent of wells drilled in 2012 were dry, and that proportion rose to almost 60 percent last year, according to company figures. Insiders say a major re-think is already underway, and analysts are hoping the arrival of Kevin McLachlan, an executive from one of the nimbler oil firms Murphy Oil, as head of exploration, will herald a more entrepreneurial spirit. Big oil firms like Total have struggled to replicate the success of Murphy Oil or Tullow, another independent oil exploration firm, because of their complex decision-making process and their more risk-adverse culture. That's not something likely to change overnight, one analyst warned. "I don't think there's a kind of magic solution, that when you bring in a new head of exploration you suddenly start finding," said Anish Kapadia, at Tudor Pickering Holt Energy. However, de Margerie had been praised for initiating a reduction in capital spending earlier than many rivals, delivering on a $30 billion assets sale program since 2010 - one of the most ambitious sell-off programs in the industry alongside BP's $50 billion sell-off plan - and announcing a new cost-cutting drive. That boosted Total's share price and helped its valuation catch up with European peers after years at a discount - the French firm had been struggling to shake off a reputation for setting over-ambitious oil production targets and failing to meet them. Total is now valued at 9.5 times 12-month forward earnings, in line with BP's (BP.L) 9.4 and Shell's (RDSa.L) 9.6 forward P/E ratios, but below U.S. peers Chevron (CVX.N) at 11.1 and ExxonMobil's (XOM.N) at 12.7. "In terms of capex reduction, the recent cost-cutting program, they're always the first movers, and that's something investors like," Ahmed Ben Salem, an analyst at Oddo Securities in Paris said. The group's asset sale program, key to maintain acceptable dividends for investors, is also likely to progress smoothly despite de Margerie's death, analysts said. "You're talking about a very well-run company, very methodical, it's a good machine. It took them a while to decide on asset disposals but now that the list is clear, they will execute it very well," said a Paris-based banker who spoke on condition of anonymity because he knows Total well. On the domestic front, de Margerie's successor will have to deal with a politically sensitive situation: the group's promise, made in 2010, to avoid closing down refineries in France for five years comes to an end next year. Patrick Pouyanne, the head of refining, told worried unions earlier this year that the group would unveil its strategy for its loss-making French refining industry in the spring. He added that it would not shut down sites completely but would seek to cut capacity. The company will be hoping to avoid a repeat of its problems in 2010 when Total's decision to close down the Dunkirk refinery entirely prompted weeks of strikes by angry unions and disrupted French oil supplies. Pouyanne's forthcoming key role would seem to favor his ascent to the top job, some observers said. "(Pouyanne) has already made great strides in improving the financial performance of his business unit, whilst he also has an extensive E&P (exploration and production) background, both clear qualifications for the role," BMO analyst Iain Reid said. Philippe Boisseau, at the helm of the group's new energies unit, and Arnaud Breuillac from the exploration and production branch, are also seen as possible successors. However there is no guarantee that de Margerie's successor will walk into the same job he left. In previous periods of transition the group has split the chairman and chief executive roles - de Margerie himself served as CEO for three years under the chairmanship of Thierry Desmarest. De Margerie had said the board would prefer an insider to succeed him - traditional among top-investor controlled oil groups - in order to ensure a smoother process. But if the company does not lack good managers, it will find it hard to replace its former leader's larger-than-life personality and extensive contact book. "The way the oil industry is these days with its ups and downs, nobody can replace him," a close friend and adviser told Reuters last year. "This fabric of international relationships he has is fundamental.. There are perhaps seven or eight bosses in the world who have that. His potential successors are not ready."